Residents from the Shire’s towns and villages are getting behind the Council’s biggest community consultation with more than a thousand surveys completed in the first two weeks. The Understanding our Place survey is the first stage of revising the Council’s major guiding document, the Community Strategic Plan. What Council is doing now is establishing our communities’ aspirations, outlining the hopes, priorities and values of local people looking forward. This plan is key when it comes to informing regional and State planning. Council’s General Manager, Leanne Barnes said the level of interest shown at markets, drop in sessions and on Council’s website, pointed to a genuine desire in people to stop and think about the Shire over the next 23 years. “The current engagement will continue until May 31, and represents the most in-depth consultation we have ever undertaken. Please come to one of the sessions or go to Council’s website to complete the online survey now,” Ms Barnes said. “The satisfaction survey will run later this year and will give Council a sense of how we are doing in terms of infrastructure provision and service delivery, it adds another layer to the aspirational information we are currently collecting,” she said. The satisfaction survey later this year follows on from surveys undertaken in 2009 and 2012. “Knowing more about the community and how local people view our services will provide the information we need to funnel resources into where they are needed most,” the General Manager said. 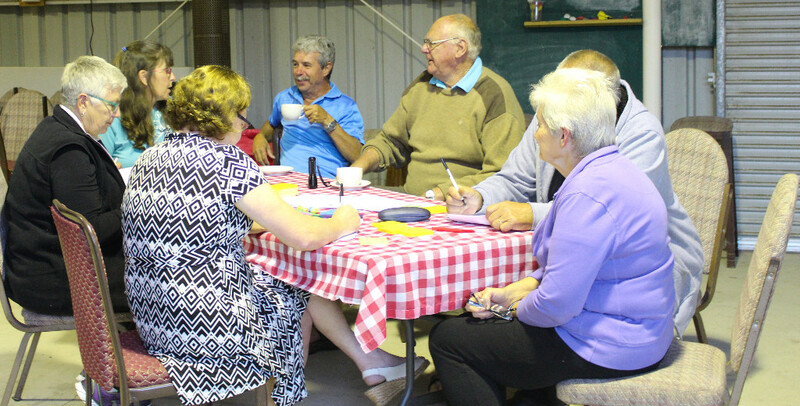 The revised Community Strategic Plan will be considered by Councillors in 2017. For information on local listening posts and drop in sessions or to do the Understanding Our Place survey on our Have Your Say page. 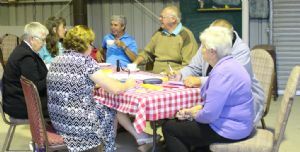 Photograph: Wonboyn residents gather at the local fire shed to meet with Council staff and complete the Understanding Our Place Survey.